Making a documentary on education is a huge, unwieldy task, and sometimes we felt like the blind man describing the elephant. Every topic we looked at – teaching, testing, globalization, equity and money – seemed worthy of a series in and of itself. Yet in the end, we were convinced that because these issues in education are inextricably linked, they were all worthy of coverage – even in an hour-long program.. Throughout the production of this documentary, we met so many great, committed educators, with so many inspiring ideas. At Pleasant Hill Academy, a public urban grade school in Cincinnati, Ohio, we experienced the school’s warm, and energizing atmosphere first-hand. The teacher we profiled, Nancy Johnson, regularly takes students to McDonald’s for lunch – a highlight for them – and talks to several of them on the phone regularly. The principal of the school, Cherese Clark, also pours her heart and soul into her job. She greets children by name -often with a hug – at the beginning and end of each day, dressed in impeccable suits and carrying a megaphone. On the first day we filmed at Pleasant Hill, the school was deep in the throes of preparation for the Ohio Achievement test. Signs exhorting students to do their best on the exam lined the hallways. Students in an after-school club composed chants to pump students up for the test. That relentless focus reflects the practical reality of public schools. Pleasant Hill’s official ranking, based on how many kids are reaching proficiency on state tests, sits just one category above the absolute worst. Ramifications can be severe. If you’re the principal of a under-performing school, failure on the test can put your job on the line. For Cherese Clark, the goal of bringing all the students at Pleasant Hill up to their grade level is particularly daunting – because they are starting so far below it to begin with.. To keep her expectations in check, Clark says she reminds herself that building a culture of change takes several years. But she also admits that if the school manages to improve significantly, her whoops of delight may reach me on the East Coast. From the beginning, we were determined to include voices from across the political spectrum in the program, to encourage viewers to think about the different approaches to school reform. Smart, reasonable people can disagree passionately about the best direction for education. Should reform focus only on schools, or should it take into context larger forces, like the situation of a student at home? Do kids need more social services, or more structure? Can our culture place a higher priority on learning, and what’s the best way to facilitate that kind of societal shift? 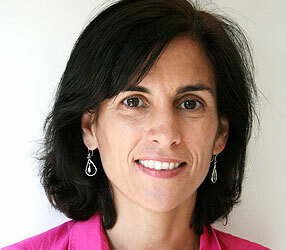 As one of our interview subjects, Professor Sharon Lynn Kagan, noted reforming education is a battle with many fronts. If the debate over education becomes so polarized that it shuts out effective solutions in favor of a rigid adherence to ideology, clearly everyone loses – most of all, students. Part of that debate concerns the changing global economy. In the piece, we tried to walk the line between overplaying the threat from other countries and recognizing that the world has changed in a way that will have a serious impact on kids in schools today. And while globalization may seem a handy buzzword for bi-coastal sophisticates in the media, we found plenty of people in the small city of Belpre, Ohio, who think and talk about it too. It was in Belpre that we met Bin Che, a young teacher from China, who told me that in China teachers have an easier life but students work much harder. We also traveled to the Northern European country of Finland, where students routinely top international tests of math and science. In Finland, talk of their educational success sometimes sounded like an overly cheery Christmas card: Our kids are number one in math and science! They think independently! They don’t even start school until they’re almost seven years old! The capital, Helsinki, can feel the same way. The streets are clean. There are no homeless people. The taxi drivers are so courteous they refuse to take a fare unless it’s their turn in the line. Describing a national culture can be a tricky thing, teetering on the edge of offensive stereotype and meaningless generalities. Still, when you’re talking international comparisons, the specifics of place matter. Finland is a country that prides itself on consensus. When I went to an upper secondary school outside of Helsinki, I was introduced to a representative from the teacher’s union. He reminded me of a Finnish Gerard Depardieu, thoughtfully playing with his long hair during our conversation. I asked him about what the teachers union agitated for. He frowned thoughtfully, then paused. After some internal discussion with his colleagues, he offered, rather tentatively, the issue of class size. For example, he explained, classes with forty students would be far too large. When I asked if he had any such classes, he replied that – Well, he didn’t – but in theory that would be bad. That element of stoicism extended to salaries as well. Finnish teachers professed to be happy with their compensation. “It’s quite enough,” said English teacher Jaana Bjorklund Vjoulla firmly. One of her young colleagues, who teaches a summer math course, happens to also be a dentist. He stays with teaching because he loves it, and notes that at this stage of his career, his salary as a teacher is just about equal to that of a starting dentist. Of course, Finland couldn’t be more different than the United States. It’s tiny, has a much smaller gap between rich and poor, and a homogeneous population. Yet it would be silly to overlook some of the reasons for Finland’s success in both schools and society. Better teacher training crosses borders. As for the level of inequity in society, it may be worth remembering that the growing gap between wealthy and working-class Americans has ripple effects that extend into the classroom. In the end, there are few easy answers to the questions we raised, and we saw that first-hand. While Pleasant Hill Elementary did improve test scores, they fell short of the ambitious targets they set for themselves. At the alternative Metro School in Columbus, Ohio, first-year student DeJane Daniels didn’t return for her second year, despite the fact that she had been thriving there. And Belpre Schools won’t have their Chinese program this year, because they didn’t get another grant. Yet, there are also reasons to hope – and perhaps more importantly, to debate, discuss, and get involved, in these issues in your community.